Nice ambiance (old-town-style but with all modern amenities), very clean, on a quiet street, perfect location, and immensely helpful and gracious host. The perfect Old Town location, pullout couch was comfy and they were able to put in a cot for our family. Turn left out of the doorway on skapo street past planter and you’ll discover a closed of street in the ravings! Great food. Premium location!! Great hosts- who answered all our crazy questions and directed us to a decent place to eat the first night. Helped us recover our lost luggage from LOT Airlines. You can walk to anything you need. The airport shuttle is run by the owner's father-in-law. Great guy!!! He was so patient when we were stuck waiting in the airport until they would admit they lost our luggage. Washing machine worked well, as did the microwave- the two appliances we used most. When we visited Vilnius we wanted to stay at an apartment with a bit of history and be close to everything in Old Town. Well this was it... Our first impression when we walked thru the door to the courtyard was is this ITALY. The courtyard was cobblestones with flowers all around. There were tables and chairs set up to relax along with a covered table and bench for outside dining. The apartment was just off the courtyard and was perfect, we had a kitchen, living room and bedroom (the bed was very comfortable). The location of the property is right in the center of old town, within easy walking distance to all the sites, parks and restaurants. The owners were very friendly and helpful, it felt like home. We would stay here again in a heartbeat and highly recommend this to everyone. Host was super. Apartment a gem. A little difficulty for us seniors going up and down the wooden stairs/ladder to the loft bed but once our sleep was lovely. We did like the separation of the bed with the rest of the living space to give an opportunity to read and relax without being directly in the presence of others. Fantastic location literally only a few minutes from the center of Cathedral Square, castle, public transportation, and restaurants. Great location. Amazing interior with old town feel. Doors that were 300 years old! Free parking! The apartment was fairly basic, but spacious. It was clean, comfy, and importantly, warm! Didn't use them, but it had an adequately stocked kitchen as well as a washing machine. Location was perfect, on a quiet pedestrian street just a 2 minute walk from the cathedral. Great location, massive apartment for 2 people. Highly recommended. It was great. Kind and very helpful host. Clean and good stuff. Good location and more positive points. If I go to Vilnius again, surely I will choose this pleasant place again. 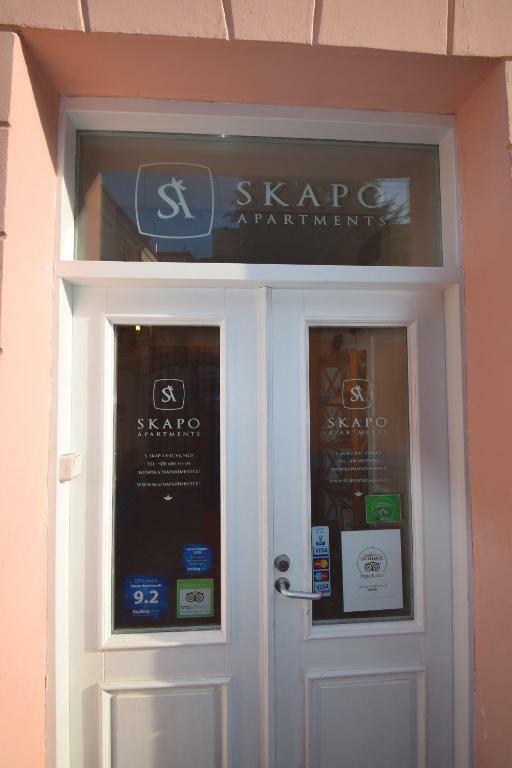 Lock in a great price for Skapo Apartments – rated 9.3 by recent guests! 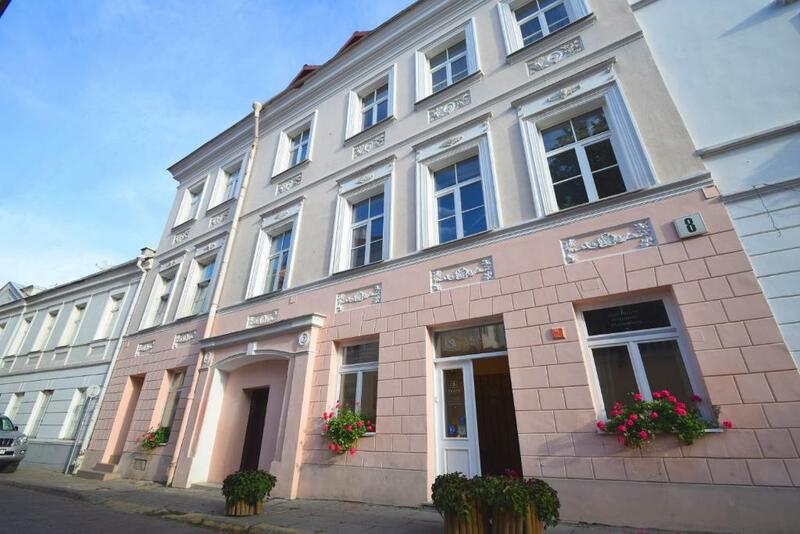 One of our top picks in Vilnius.Located in a historic building, which dates back to 1795, in the center of old Vilnius, Skapo Apartments offers accommodations with free Wi-Fi and well-equipped kitchens. Gediminas Castle is just a 10-minute walk away. Located within walking distance from the Cathedral square, Skapo’s apartments are spacious and include laundry facilities and a seating area with cable TV. Each kitchen is equipped with refrigerator, oven and kitchenware. 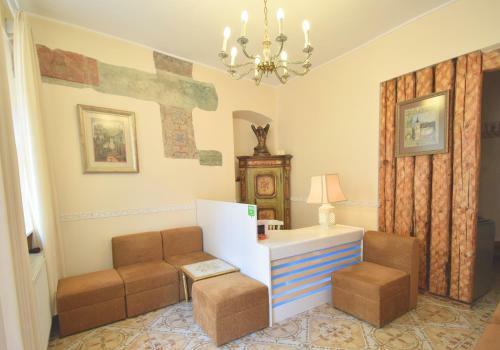 The property has a reception desk. 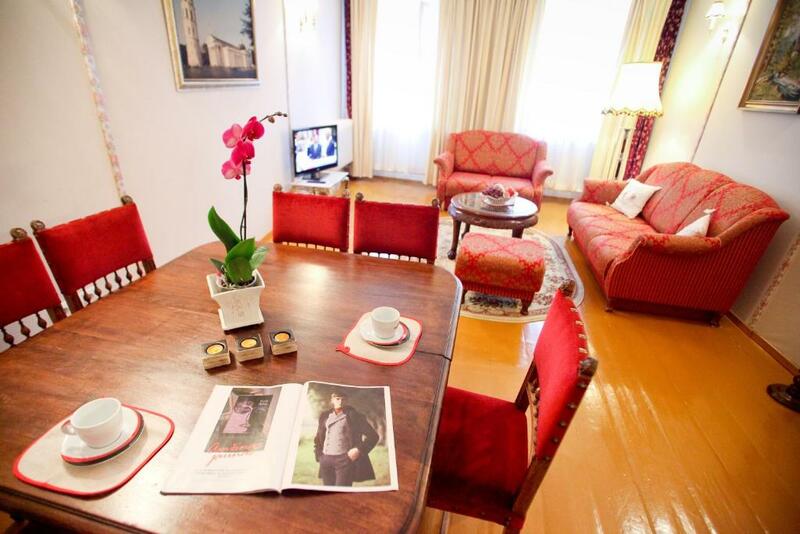 Vilnius’ Presidential Palace is just 2 minutes walk from Skapo Apartments. Many bars, cafés and restaurants can be reached within 350 feet. Guests can enjoy a glass of wine in Skapo Apartments’ courtyard, which has a fireplace. When would you like to stay at Skapo Apartments? This sunny apartment has a loft area with bed, 17th-century paintings and heated floors during the winter months. Apartment with a kitchen and a dining area. Sunny apartment with modern home appliances and a view of Skapo Street. 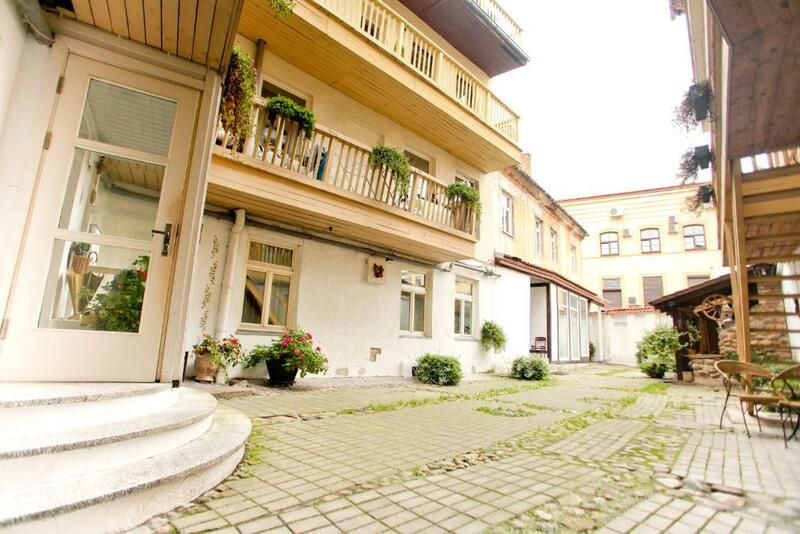 Second floor apartment with an entrance from a wooden balcony in a historical and quiet courtyard. Classically decorated suite with Art Noveau elements located in a house in the National Heritage register. It is bright and features views of the area. 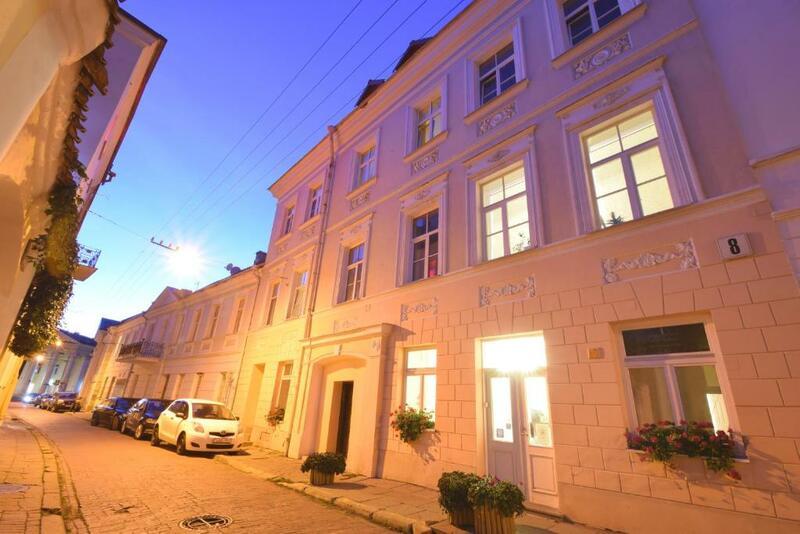 Skapo Apartments is a special place, because all apartments offered for accommodation to our guests are located in a historic house dating back 1795 which is saved by Lithuanian government as an important part of Vilnius history. While being in the heart of the city guests are surrounded by carefully looked after environment with authentic charming patios and very peaceful, silent surroundings which is unique and at the same time rather unusual atmosphere for a city center. Besides of green patios and oasis of peacefulness all apartments are equipped with modern equipment. Free business class Wi-Fi is available throughout all inside and outside area. To the advantage of our guests we offer RECEPTION DESK which is available throughout the day to address all the issues and questions of our guests: guides, ticket printing, maps, taxis, recommendations and etc. Also reception premises are ready to be used for free luggage storage - which for some might be very convenient option in our absolute heart of Vilnius city location. Guests are also offered free parking, complementary cleaning service. Airport shuttle is also available at a surcharge. Skapo Apartments is a family operated accommodation site operating since 2010. As a long time Vilnius Old Town residents at Skapo street we enjoy guests coming to the apartments from all over the world and always welcome opportunities to chat with new people should they need a few recommendations or general advice about Vilnius sightseeing or etc. It is simply the heart of the city of Vilnius. We are located 50 meters from the main Old Town street Pilies on one side, and 100 meters from Vilnius University and Presidential Palace on the other side of Skapo street. Cathedral square is 1 minute walking distance also. Main Vilnius events like city concerts, celebration, fairs happen just 1 minute away walking distance from our apartments. 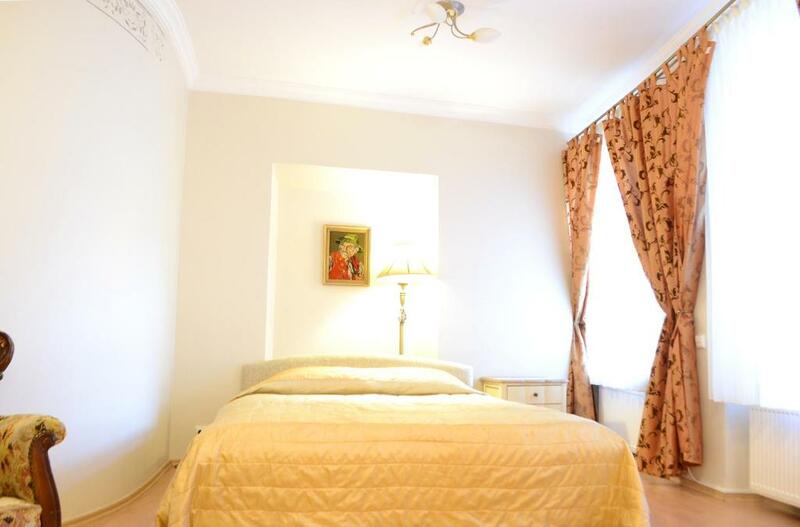 All most important sights are in a walking proximity and guarantee that you will not miss anything important happening in Vilnius city during your stay. We look forward to your bookings! House Rules Skapo Apartments takes special requests – add in the next step! Skapo Apartments accepts these cards and reserves the right to temporarily hold an amount prior to arrival. Please inform Skapo Apartments of your expected arrival time in advance. You can use the Special Requests box when booking, or contact the property directly using the contact details in your confirmation. I did spot a few cobwebs, but this is just being fussy. There were no real problems at all. Nice location, all what we needed was there. On my 2nd day, there was no domestic water, I believe there was some kind of maintenance or so. However, the host provided me with two bottles (5 Gallons each) of water. Location is great and the host very friendly. Apartment is well devided, great use of space. Unfortunately the power tripped a couple of times and we had to get the owner to come and fix it. Very clean and spacious. Lovely lady gave us our keys and gave us a mini tour. Very welcoming. Nothing to complain. Everything is good. Location was perfect. Very clean rooms. Although it was comfortably warm in the apartment in general, the tiled floor was quite cold - if you don't have slippers, warm socks would be not enough. The atmosphere in the apartment, in the courtyard and in the whole neighbourhood is charming. 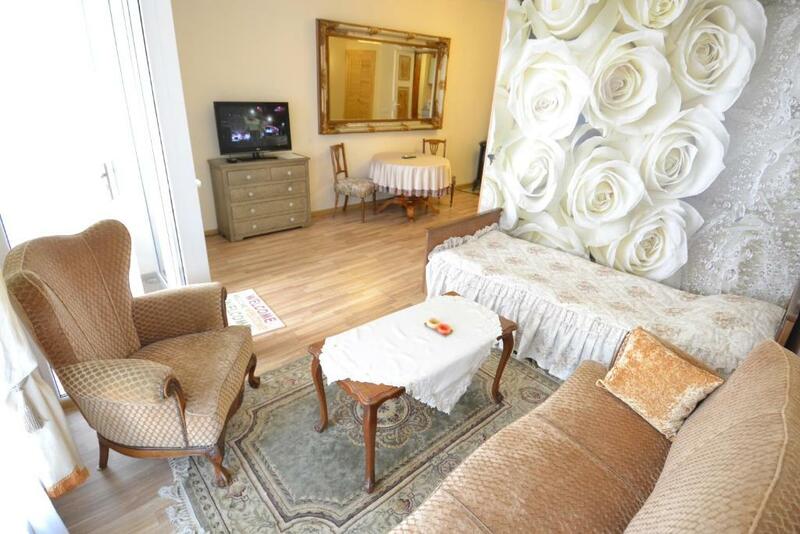 The apartment offers everything needed for the stay. Very helpful in letting us park the car! Keep in mind that small toiletries are not provided.